In March 2018 Ferrell Jenkins & I spent several days in Jordan on a personal study tour, including several sites in what historically was biblical Moab. As was the origin of Ammon, the sad story of the Moab’s descent from Lot’s incestuous union with his daughter (oldest) is narrated in Genesis 19:30-38. 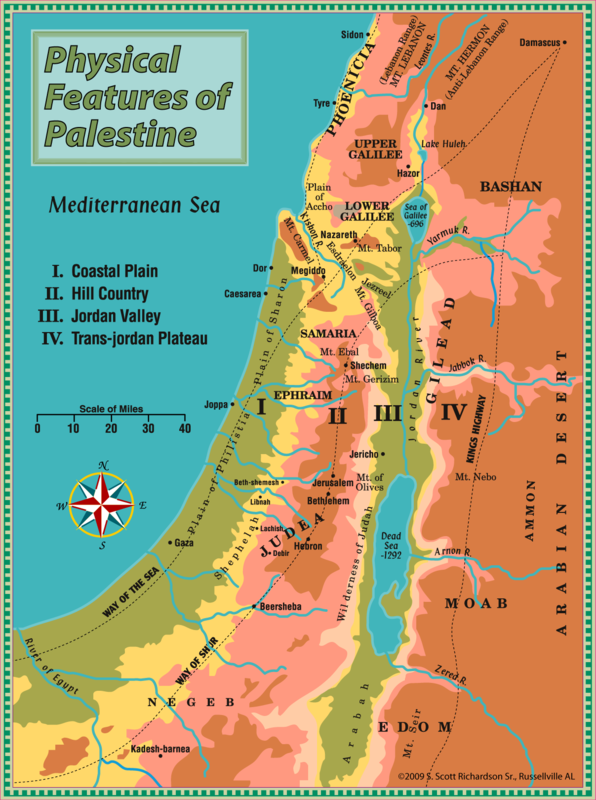 The territory of Moab was located east of the Dead Sea between the wadis Arnon and Zered. Physical features of the land. Note the Arnon and Zered, and the land of Moab. Map by Scott Richardson. One of the sites we visited was Madaba, which today is best known for its large Byzantine-era mosaic map of the Holy Land, located in the St. George Church. A short distance away we found a spot for lunch. Dining in Moab. Note sign in upper left: “Moab Land Hotel.” Photo by Leon Mauldin. 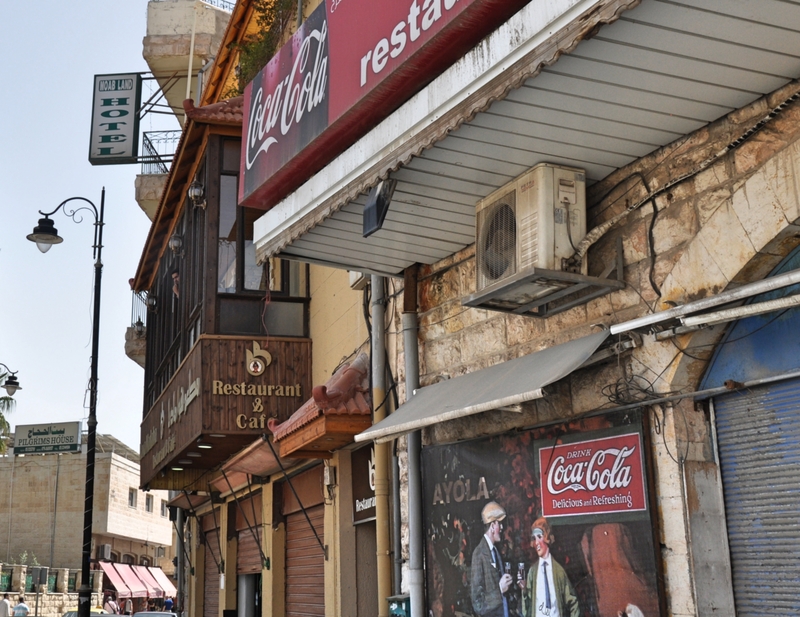 Madaba is mentioned in the Bible in Numbers 21:30 and Joshua 13:6 (biblical spelling is Medeba). The Moabites “normally inhabited the area on the Transjordan plateau between Wadi Arnon on the north and Wadi Zered on the south, though they often pushed north of Wadi Arnon.” (Alexander, Expositor’s Bible Commentary: Ezekiel, 6:866). 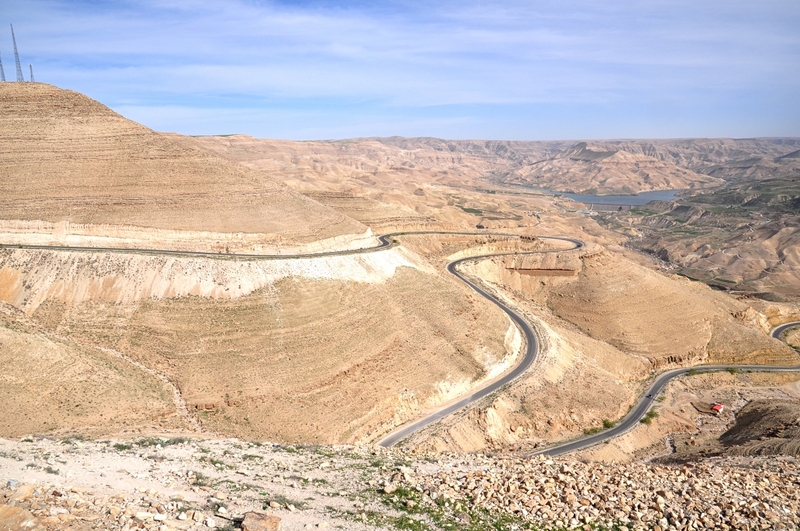 I wanted to share a few photos of the Wadi Arnon mentioned above. The Arnon was a natural boundary. In the days of the Conquest, when the land was allotted to the tribes of Israel, the southern border of the tribe of Reuben was the Arnon. The Arnon Valley. Photo by Ferrell Jenkins. The Arnon Valley as we look west. Arnon Valley looking westward. Photo by Leon Mauldin. Arnon Valley looking east. I think you will agree that a flat map does not do it justice! Arnon Valley looking East. Photo by Leon Mauldin.